I’m not a poet, I know it, but I still won a poetry prize! 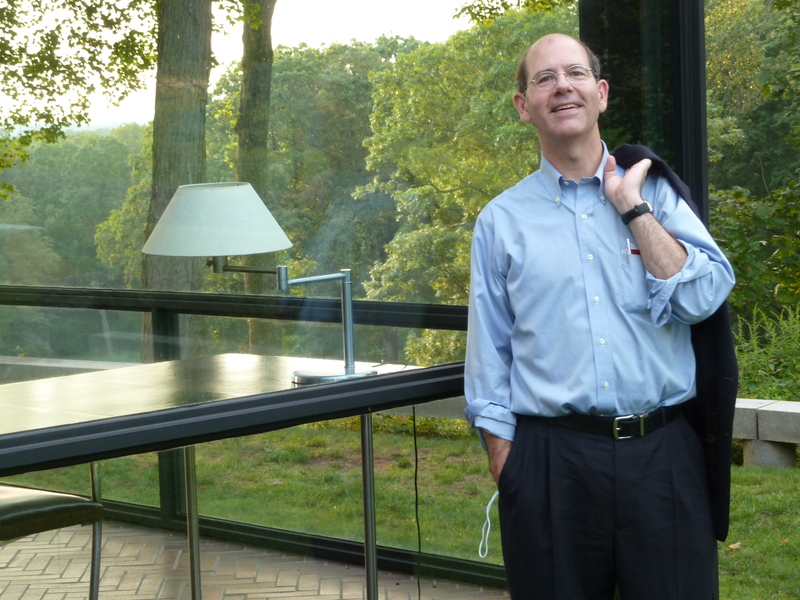 I had a great treat in mid-August – a special tour, reception, and dinner at the glorious Philip Johnson Glass House in New Canaan, Connecticut. I was there because I happened to have won the 2011 Philip Johnson Glass House/ Design Within Reach Modern Architecture Haiku Competition (bet you didn’t know there was such a thing! ), and the prize included a private site tour and reception with photographer Todd Eberle, followed by a celebration dinner at the Roger Sherman Inn (held in Todd’s honor, certainly not mine, but I still recited the haiku!). The day was beautiful, and finally getting to see the Glass House was a marvelous treat. It’s far more than a single house; it’s an extraordinarily designed estate with 14 structures, including two quite amazing galleries (sculpture and painting), several other outbuildings (including Philip Johnson’s studio and his doghouse), plus some wonderful landscaping and outdoor sculpture, including work by Donald Judd and a delightful pond-side folly. Thanks to all at the Glass House and Design Within Reach for making such a grand fuss over 17 syllables. This is great. Thanks so much for being such a gracious poet!